The world’s finest wines are all a reflection of the areas from which they are grown. Origin and geography matter most when dictating what a finished bottle tastes like. More than winemakers, more than varietals, more than yeast or barrel or blending variables; wines taste like their vineyards. 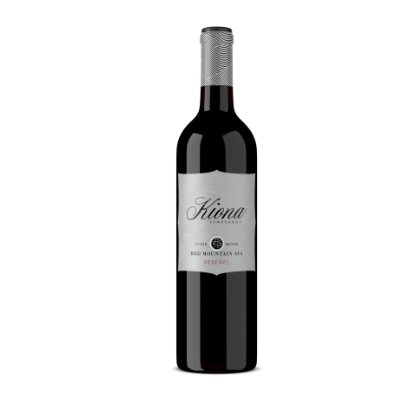 Freed from the constraints of blending a varietally-designated reserve-tier wine Kiona was able to pluck their favorite individual barrels from the stellar 2013 vintage for use in this blend. Red Mountain’s trademark flavor density and complexity shines through and through. As is the case with the Red Mountain AVA in general, Cabernet Sauvignon’s influence here is paramount. Clone 2 and Clone 8 variants from our Heart of the Hill vineyard contribute opulent, powerful, velvety tannins and structure along with tremendous dark fruit.